There have been thousands matches in the 84 years of the FIFA World Cup. Some have been thrillers that will always be remembered, while many have been forgotten over the years. But these 10 matches are unforgettable because of how painful it was for one team. Everyone enjoys seeing a goal fest where one team just gets slaughtered. Unless, of course, your country’s on the receiving end. Here are the 10 biggest thrashing, ranked by goal difference first, then goals scored, and then the level of the competition. Sweden were one of the world’s top sides during the 1930’s and 50’s, before and after World War II. 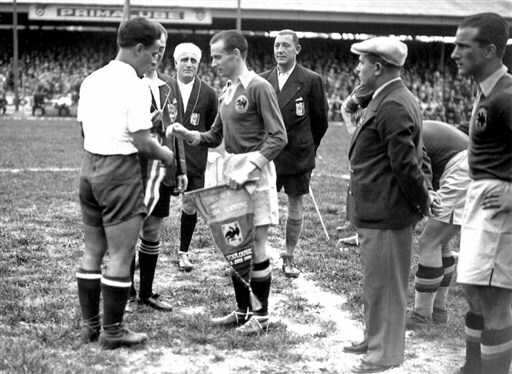 In the 1950 World Cup, they defeated Italy, the champions of the previous two world cups (1934 and 1938) and drew with Paraguay to finish top of their group and advance to the final group stage, the only time a group would be used to determine the champion. Brazil, the hosts, had qualified for the final group stage by easily beating Mexico and Yugoslavia, and drawing with Switzerland. Both teams met in their first match of the final group stage, and Brazil shockingly ran riot, hammering the Swedes 7-1 . Five players scored, two of which (Ademir and Zizinho) are still remembered as some of Brazil’s greatest ever players. Brazil would finish as runners-up after a shocking loss to Uruguay that still pains the country to this day, while Sweden bounced back to push Uruguay closely in a 3-2 loss and defeat Spain to finish in 3rd place. 8 years later, Brazil and Sweden would meet again, this time in the final, with Sweden being hosts. That match was much closer, with Brazil winning a thriller 5-2 to win their first title. 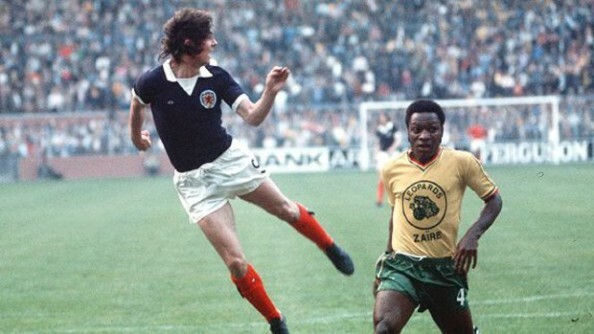 The 1974 World Cup qualification was one of the more shocking editions, with powers like England, France, Spain, and Hungary failing to qualify. North America was no exception, with Haiti stunning Mexico to qualify for their first World Cup. They would take the lead against Italy, but that was as good as their tournament would get. They would go on to lose 3-1, and were then hammered 7-0 by an extremely impressive Polish team. Poland was already up 5-0 by half time and, despite letting off the gas in the second half, still steamrolled to victory. Haiti finished off their only World Cup tournament by losing 4-1 to Argentina. Poland would go on to finish in third after losing to Germany 1-0 in a narrow group stage game that was essentially a semifinal, before beating Brazil by the same scoreline in the third-place playoff. Haiti would never come close to qualifying for another World Cup, while Poland would repeat their third-place performance in the 1982 World Cup. 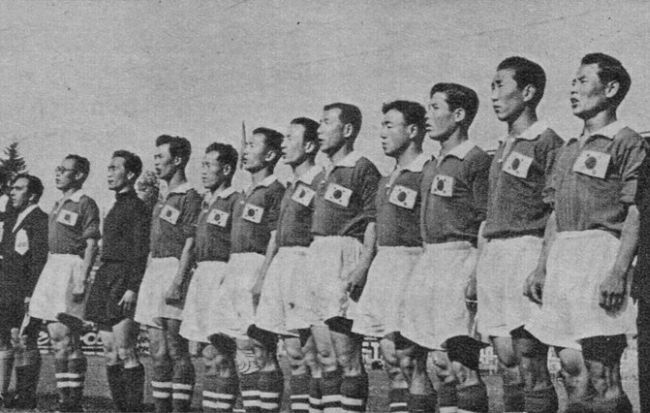 South Korea’s 1954 World Cup team was really, really bad. The worst team in World Cup history, by a long stretch. This match actually wasn’t even their heaviest loss of the tournament, that came in their debut, but more on that later. After that heavy defeat, South Korea tried to salvage some pride before leaving the tournament, only to be thrashed 7-0 by Turkey, a team who would’ve even advance from their group, after they were thrashed 7-2 by West Germany in a play-off. After that miserable performance, South Korea would take another 34 years to qualify for a World Cup. But then they would hit their stride, as they’ve qualified for the last 8 World Cups and even placed 4th in 2002, when they co-hosted the tournament with Japan. Ironically, they lost to Turkey in the match for third-place. North Korea qualified for their first World Cup in 48 years in 2010, and were the biggest of underdogs heading into the tournament. Their first match against Brazil was expected to be a heavy, heavy defeat, but the North Koreans stunned the world by only narrowly losing 2-1 after a hugely encouraging performance. However, they would come unglued in their next match against Portugal. After a slow start, Portugal were only leading 1-0 at halftime, before running riot in the second half to win 7-0, with 6 different players getting a goal. Ironically, the match was the first live soccer match ever broadcast in North Korea, and it would be a painful first match to watch. North Korea bounced back to only lose 3-0 to Cote d’Ivoire, bowing out of the tournament without a point. Portugal edged into the round of 16, where they narrowly lost to Iberian rivals Spain 1-0. 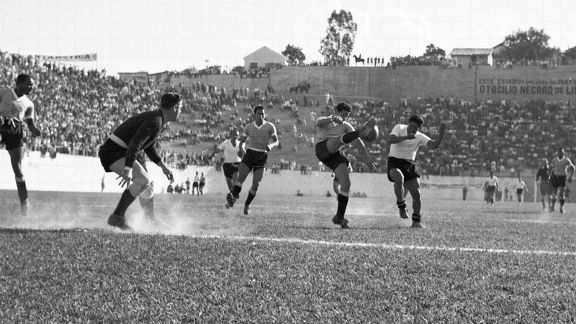 Uruguay’s “group” at the 1950 World Cup consisted of only themselves and Bolivia, making their second appearance and first in 20 year. This two-team group was caused by France withdrawing, which meant only one match was needed to determine who would advance to the final group. That match ended in an 8-0 thrashing, with Oscar Miguez scoring a hat-trick, and 4 other players scoring. Uruguay took on Brazil, Sweden, and Spain in the final group, which would determine the champion. Brazil and Uruguay both won their opening two matches, meaning their match would essentially be a final. In one of the biggest upsets in tournament history, Uruguay stunned the hosts 2-1 in a thriller to win their second World Cup. As for Bolivia, they would have to wait 44 years before appearing the World Cup again, where they would score their first goal, but still bow out without a win. Uruguay’s World Cup win would be their last, although they did reach the semifinals in 2010. Cuba only qualified for the 1938 World Cup after every single other North American team pulled out of the qualification. They were expected to be hammered by Romania, one of the world’s stronger teams at the time, in the first round. Instead, the Cubans pulled off a huge shock by holding them to a 3-3 draw and then winning the replay 2-1. In the second round, Cuba would get the heavy loss that was expected. Sweden were well-rested after first-round opponents Austria had withdrawn from the competition, and they won 8-0 against the inexperienced and amateur Cubans. Sweden lost to Hungary and Brazil to finish in fourth place, while poor Cuba would never again even come close to qualifying for a World Cup. Hopes weren’t very high for Germany coming into the 2002 World Cup, they weren’t thought of as a very strong German team. They would emphatically prove their doubters wrong with their opening match by thrashing Saudi Arabia, appearing in their 3rd consecutive tournament, 8-0. 6 German players got at least a goal, most notably Miroslav Klose, who scored a hat-trick on his World Cup debut. Those three goals were the first of 14 total goals, leaving Klose one behind Brazil’s Ronaldo on the all-time standings, and looking to break the record in 2014. Saudi Arabia bowed out of the competition without scoring a single goal and as the worst team. Germany, meanwhile, would finish top of their group with a draw against Ireland and victory over Cameroon. 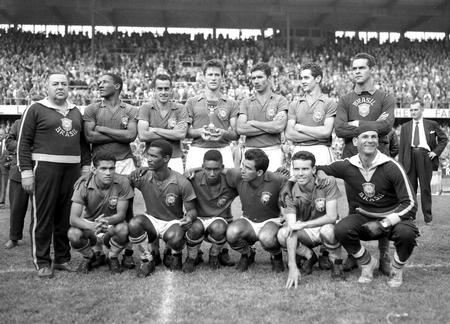 Tough victories over Paraguay, the United States, and South Korea led them to a final against Brazil, which they lost 2-0, after a successful tournament. Hungary were unstoppable coming into the 1954 FIFA World Cup and were heavy, heavy favorites for the title. South Korea, on the other hand, had no soccer history at all, and had qualified for the first time after beating fellow minnows Japan. The scene was set for a thrashing, and Hungary quickly jumped to a 4-0 lead at halftime. Things only got worse in the second half, with Sandor Koscis, one of the greatest players in history, scored a hat-trick as Hungary ran out 9-0 winners. South Korea then lost 7-0 to Turkey, scoring no goals and conceding 16 in two matches, the worst performance in World Cup history. 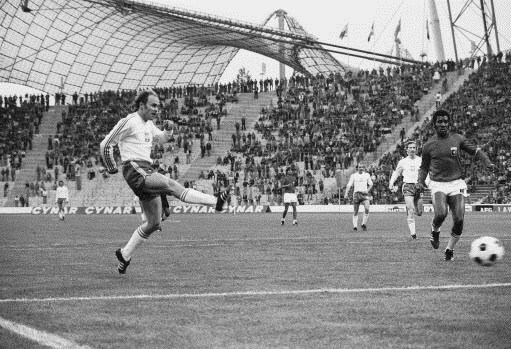 Hungary would go on to defeat West Germany 8-3, scoring 17 goals in two group stage matches. They then beat Brazil and Uruguay to set up a final rematch against West Germany. They were expected to ease to the title, but West Germany came back from 2-0 down to win 3-2 in possibly the greatest upset of all time, as the German team was made up of amateurs while Hungary had the world’s greatest players in their incredible squad. Coming into the 1982 World Cup, Hungary were one of the strongest teams in Europe, having played in two World Cup finals previously, while El Salvador were widely viewed as the weakest team in the Cup. Two days before their match, Belgium had stunned Argentina in the opener, an incredible upset. 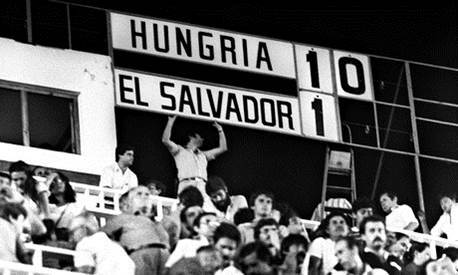 If El Salvador was hoping for a similar result, Hungary ruthlessly squashed any hopes, jumping into a 3-0 lead by half-time. To their credit, El Salvador did score to make it 5-1, but Hungary scored 5 more unanswered goals to record the highest scoreline in World Cup history. 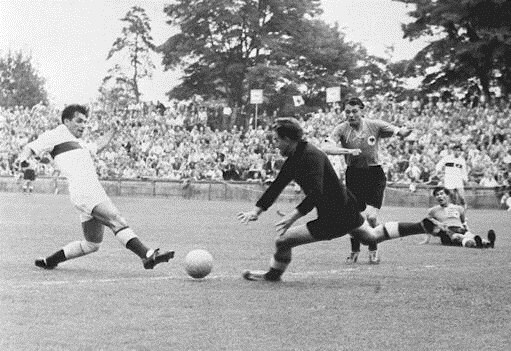 Laszlo Kiss became the first substitute to score a hat-trick in a World Cup match. Incredibly, Hungary would actually bow out in the group stages, losing to Argentina and drawing with Belgium to finish in 3rd place by goal difference. El Salvador, meanwhile, would lose their next two matches as well, but my much more flattering scorelines – 2-0 and 1-0.